Showing art by SEABA members in the gallery and hallways. Petroglyphs and pictographs created by the Ancient Puebloans in the Southwestern US, fascinating shapes and patterns of the Maori of New Zealand, markings by ancient Hawaiians, and designs created by the Ancient Incas in South America were all the inspiration for this exhibits collection. 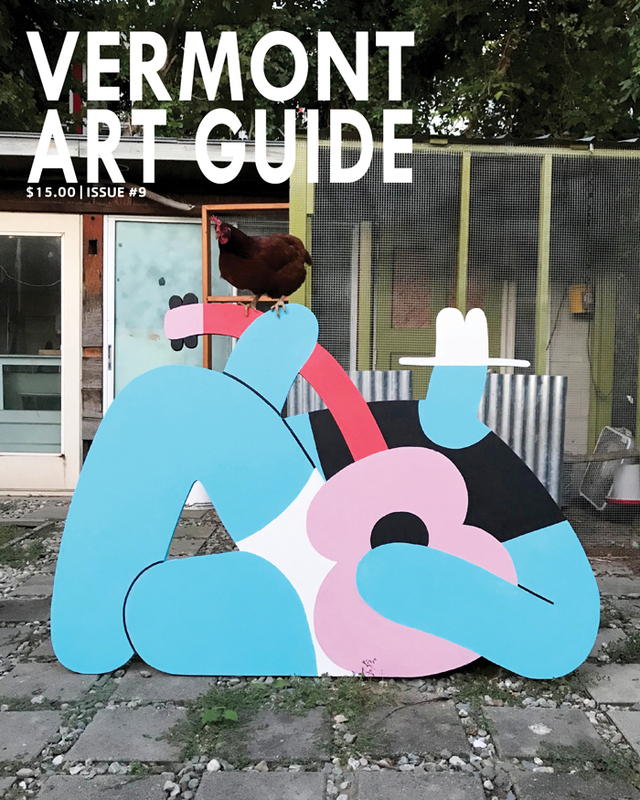 Long fascinated by ancient cultures, artifacts, rock art, ruins of buildings, and adornment of everyday items, the artist creates work honoring people of the past from around the world. She and her family enjoy traveling, where she spends much time observing and photographing cave art, structures and ruins from cultures past, and cultural objects in museums and galleries while “on the road”. All of the works in this collection have been inspired by the artist’s own observations of evidence of the ancients, particularly in the southwestern US as well as several cultures in the South Pacific, Peru and Colombia. 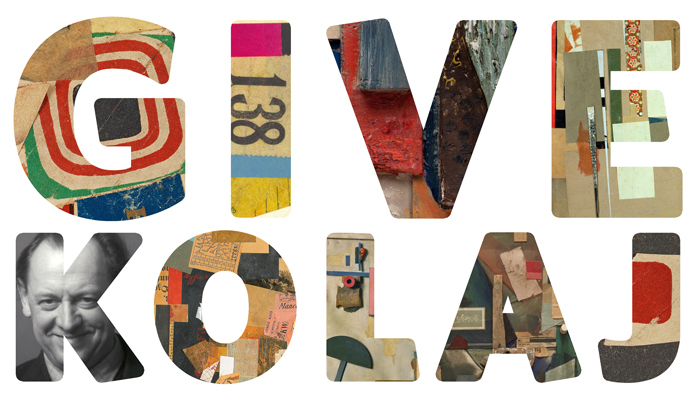 Shop local: one of a kind items, gift cards, artwork, and more throughout the businesses of the South End Arts District. Come on out and support your community, see your South End neighbors during the South End Holiday sHOP, all month long! SEABA’s Artist Market features one-of-a-kind gifts for the holidays: jewelry, wooden creations, cards, ornaments and many other unique crafts. The 25th Annual South End Art Hop Original Juried Show Winners Circle features First Place: Jeffrey Robins; Second Place: Eleanor Lanahan; Third Place: Teresa Celemin and People’s Choice winner; Patrick Krok Horton. 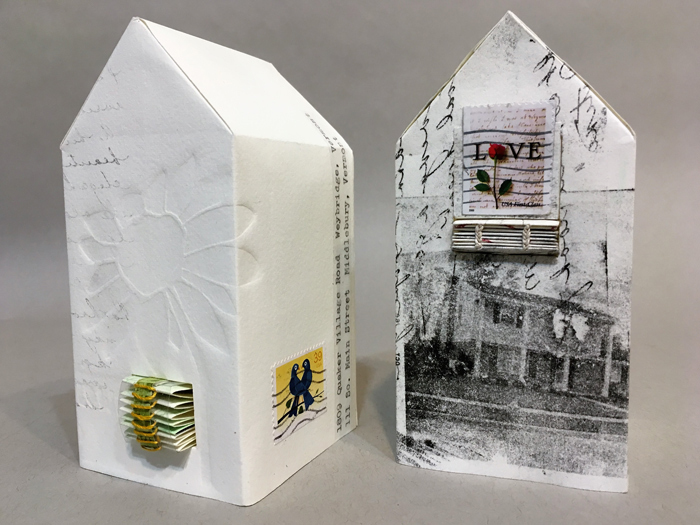 The 25th Annual South End Art Hop Original Juried Show features 33 pieces of work selected by the 2017 juror, Asya Geisberg, owner of Asya Geisberg Gallery in New York City. 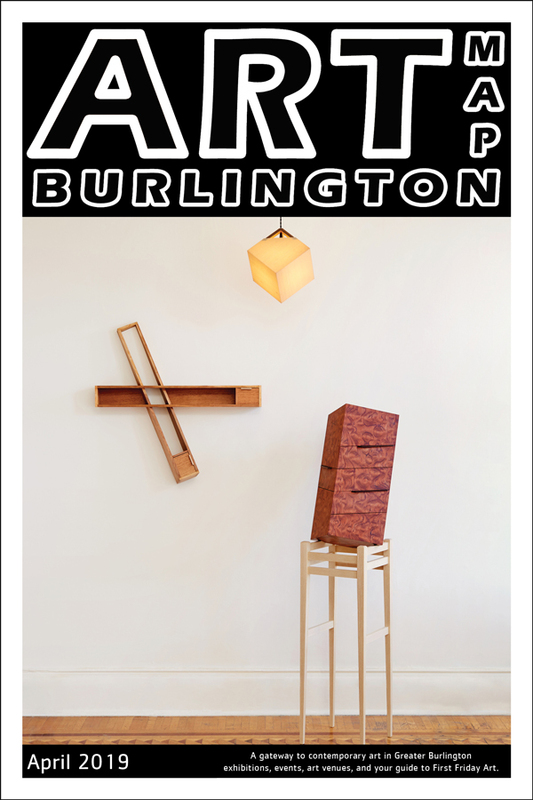 Opening reception: Tuesday, July 11, 6-8PM with an artist talk at 6:30PM. This group show responds to the concept of correspondence in the modern world. 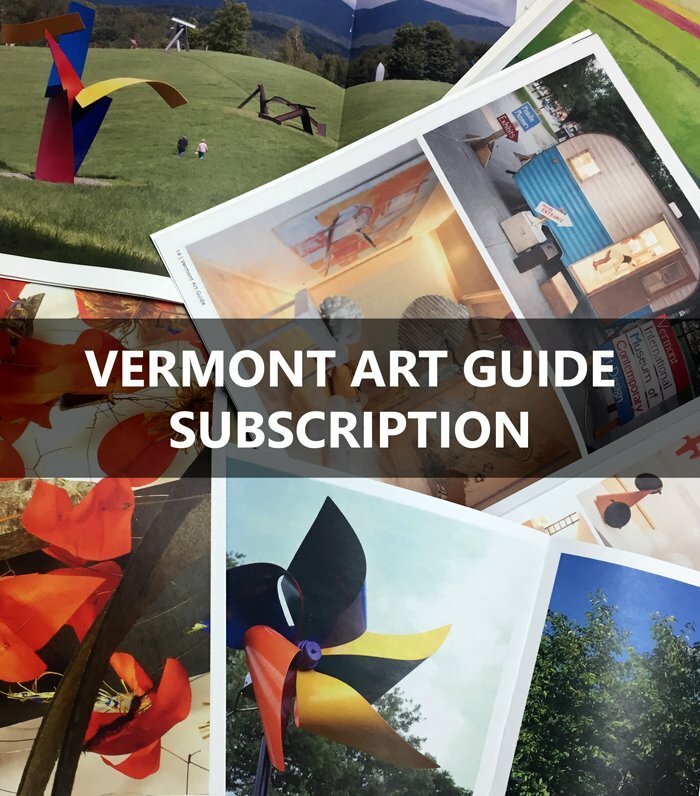 Members and friends of the Book Arts Guild of Vermont use various techniques to convey a sense of communication between ideas and materials in work that can be “read”. Richmond-based Emily Mitchell’s work begins with playful applications of leftover paint on spare canvasses, and slowly evolves from loose, colorful marks into vibrant and complex “landscapes”. 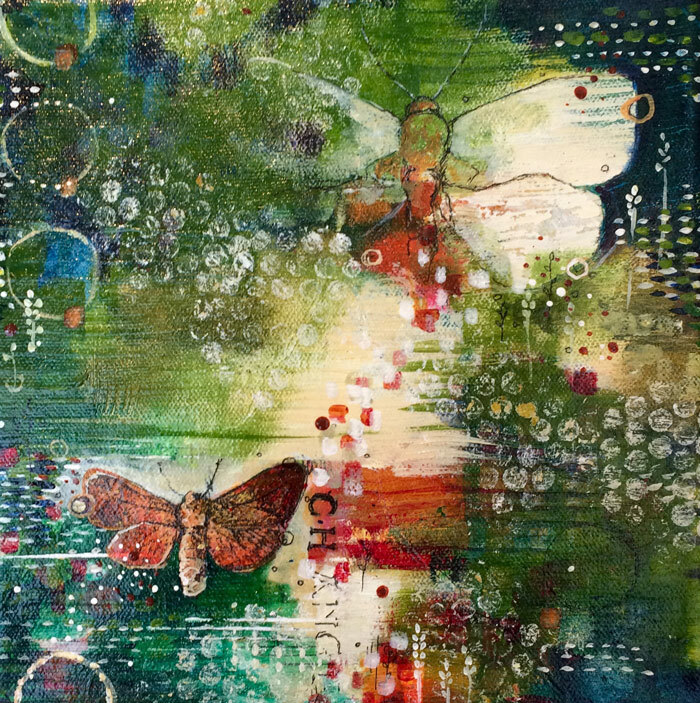 Her narrative imagery, which is rooted in her strong connection to nature and community, evolves through the painting process, and is a response to the layered elements on the canvas in front of her, rather than a specific plan. Making art, for Mitchell, is a back-and-forth play between spontaneous, intuitive mark-making, and careful deliberation and intention: a blend of letting things happen, and making things happen. 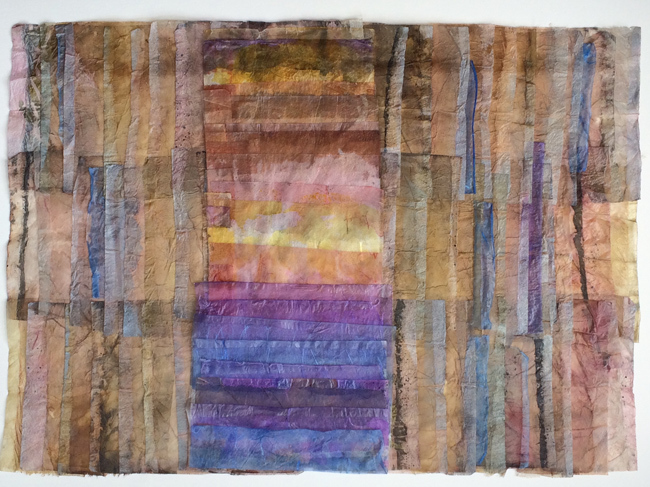 Recently, as a response to her experience at Squam Art Workshops, Mitchell has been working with weaving collage papers and fabric into her canvasses, creating even more depth and texture in her colorful worlds. Join us in the SEABA’s coffee lounge with a cup of Speeder & Earl’s Coffee and enjoy Emily Mitchell’s artwork through the end of June. 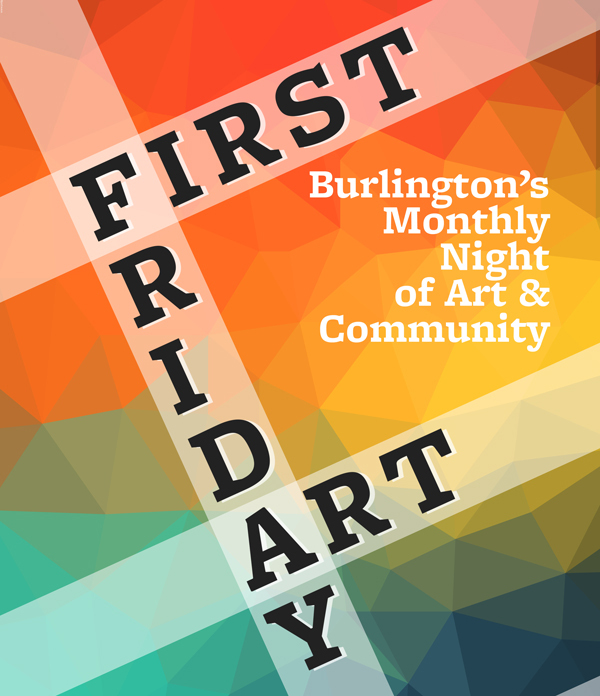 During First Friday Art, 6:30, Exhibit Chat with art collector Mark S. Waskow. “In the Details” features the mesmerizing, complex artwork of seventeen artists: David Ambrose, Emily Barletta, Mel Bernstine, Halsey Chait, Cathy Cone, Jonathan Cowan, Denise Driscoll, Lori Ellison, Patricia Fabricant, Jeanne Heifetz, Karen Henderson, Taney Roniger, Jessica Rosner, Gowri Savoor, Lynda Schlosberg, Oriane Stender, and Carleen Zimbalatti. The labor-intensive quality of their work invites the viewer into an inner world that is both tranquil and multidimensional. This exhibition gives weight to each artist’s meticulous mark-making vocabulary and process. Inch by inch, through skill and craftsmanship, the significance of detail emerges from the iterations and interlacing of small basic elements, creating evocative compositions that maintain a balance between the tangible and a seemingly infinite space. Join us in the SEABA’s coffee lounge with a cup of Speeder & Earl’s Coffee and enjoy “In the Details” through the end of March. 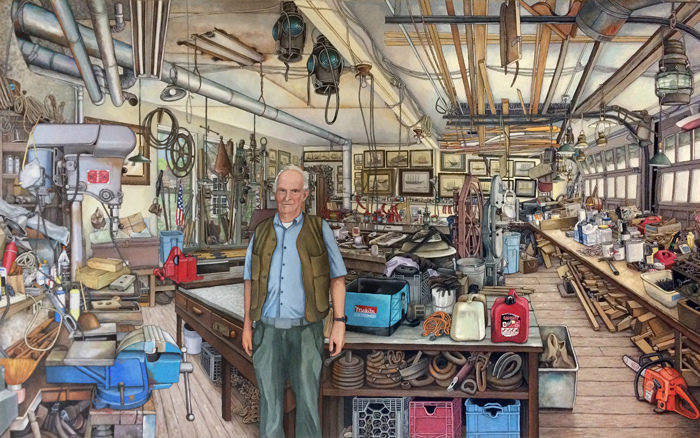 The “Art Hop Winners Circle’ Circle” features First Place: John Douglas; Second Place: Larry Bissonette; Third Place: Cara Lai Fitzgibbon (image) and People’s Choice winner: Robert Gold. Come sit in SEABA’s coffee lounge with a cup of Speeder & Earl’s Coffee and enjoy the winners of the 2016 Art Hop Juried Show. 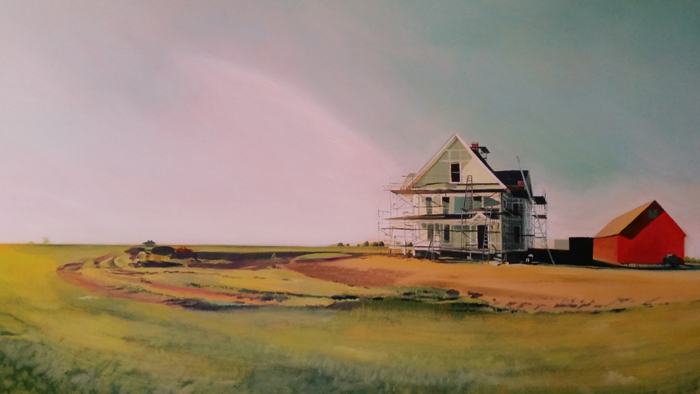 SEABA is delighted to welcome the 24th Annual South End Art Hop Original Juried Show, featuring 35 pieces of work selected by the 2016 juror, Joe Amrhein. Joe is an artist and founder/director of Pierogi Gallery in New York. He started Pierogi in 1994 in his Williamsburg studio. 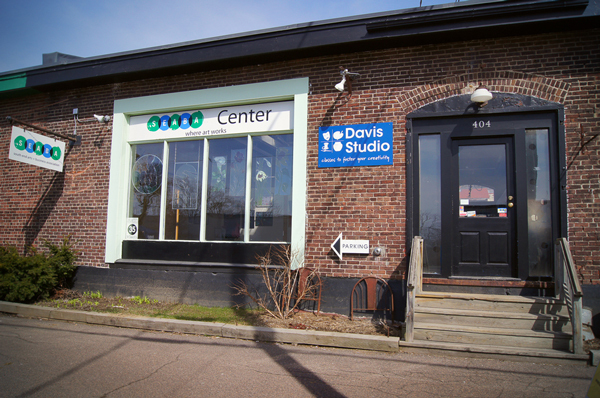 In 1999, he moved the gallery to a larger location next door. From 2006 to 2009, Pierogi operated a second gallery in Leipzig, Germany. He continues to work as an artist and exhibits widely, including recent exhibitions in Berlin and Leipzig, Germany, New York, and Los Angeles. He received an honorary doctorate from Pratt Institute in 2005. 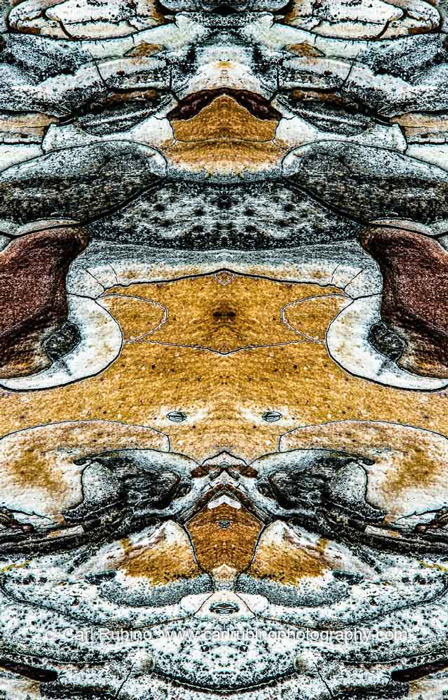 Carl Rubino’s exhibit “From The Bark Of A Single Tree” features abstract macro photography images, resembling colored pencil drawings, of compositions found on the bark of a tree on a tiny island in the Adirondacks. Come sit in SEABA’s coffee lounge with a cup of Speeder & Earl’s Coffee and enjoy multi-award winning fine art photographer Carl Rubino. 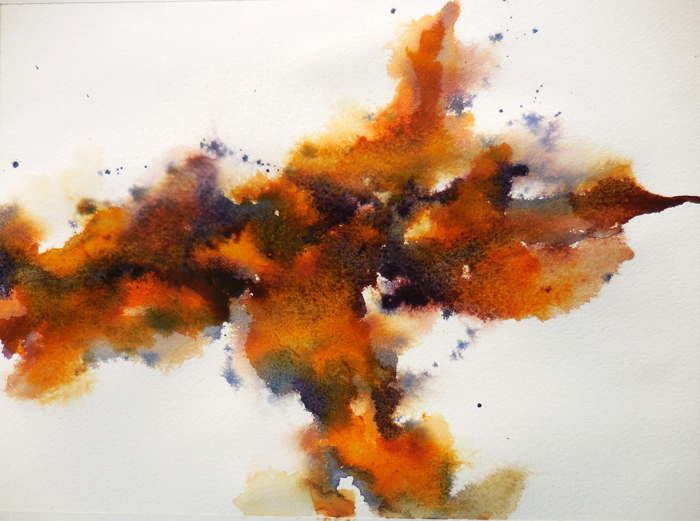 SEABA’s Members Only Show welcomes 40 artists to the gallery to celebrate SEABA’s 30th anniversary. Adam and Sarah give their appreciation to SEABA’s artists by proudly welcoming their members’ art work for one of the largest group shows to come to the walls of the SEABA Gallery. 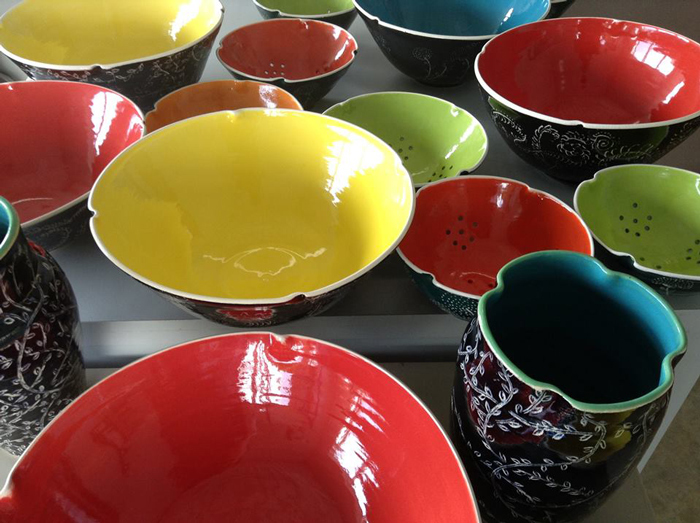 For every piece sold, SEABA offers a year membership to SEABA for a deserving artist. Artist reception during April’s First Friday Art. Catherine Hall’s new works on paper and works made of paper use techniques derived from textile dyeing and batiking, monoprints, and abstract painting.